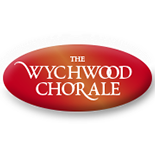 The Wychwood Chorale with Bernard West as its musical director is a friendly and non-auditioned choir of about 50 singers. We meet on Tuesdays 7.30-9pm in St Nicholas’ Church Chadlington during term time. We have a varied repertoire drawing from traditional, classical, sacred and popular music. Each term we hold a concert and raise money for charity.